Can you do it? The challenge’s presence in video games and gamification. Can you do it? The presence of Challenge in video games and gamification. As you may know, one of the more basic and used elements in the video games and gamification worlds is the challenge. This is not a coincidence, the man has been constantly challenged along the history. From to learn to set a fire to how to improve ourselves running 2 km more each week. We might even say that the challenge is permanent in the human psyche. How many times have we wished to achieve a goal and once we achieved it, a new goal has appeared again with a new challenge? Before researching the presence of the challenge the playful world, let’s take a deep look into the concept. Why does the challenge exist? Surely some people have ever thought how easy it would be if there were no challenges or difficulties ahead. What a good life would it be without obstacles, getting the rewards and benefits in an easy way. We would be very happy… but not for long. Really. From a standpoint of philosophy, we would say the challenge does exist to provide sense to the way of life. From a psychological standpoint, we can say the challenge is much more than that. Indeed it has multiple functions related to identity, social recognition, intrinsic and extrinsic reinforcements, communication and so on. But to summarize, the challenge as concept implies variability, movement and stimulation, strongly linked to fun and entertainment. In fact, any pastime or hobby has some challenging component. Now, all the challenges are so beneficial? Definitely we have also thought and remembered some challenges in a past time, some challenges accompanied by negative emotions such as stress, pressure, fatigue… or even abandonment. In fact, not every challenges are equal and make us feel the same way. We usually do not solve a riddle at the first attempt and the failure often brings frustration, that feeling sure we have all ever felt at least a few times. Emotion that transmits the motivation we have to overcome the difficulty. Besides, frustration is directly proportional to the positive perception of the intrinsic reward. In other words, the more the challenge costs, the better we will feel overcoming it. Thus, how we live the challenging experience is especially linked to the frustration that the challenge can generate in ourselves. The challenge may requires us to address a lot of skills or attention, even it can demand us skills we don’t have. For example, pause reading this article, find and drive a 4 speed backhoe, assuming we do not have any reader who knows. It is in these cases when we cannot surpass the challenge and it causes us too much frustration, which usually ends in inefficient results or abandonment. But the opposite can also happen. Maybe the challenge does not demand us much attention or capabilities and is readily affordable, even too easy. For example, stop reading again and jump three times with the arms raised. This other extreme usually involves boredom or abandonment caused by real absence of challenge and lack of interest. At this point we can say that the best challenge to stay motivated with is that one is balanced. It has to fit one of our capabilities and generate what is scientifically called “Optimal Frustration”. This concept is closely linked to the Flow theory (Csíkszentmihályi, 1990), concept discussed in one of our previous articles. It´s also closely linked to the learning principle “Pleasantly Frustrating” (Gee, 2004), which relates in the same way the balance between skills and challenges in motivation and learning. See the following video for more information. The design of a gamified process always seeks the engagement of people and their fun, and one of the most practical ways for doing it is through the (balanced) challenge. In particular the challenge aimed to obtain a personal progress, rather than the extrinsic reinforcement. 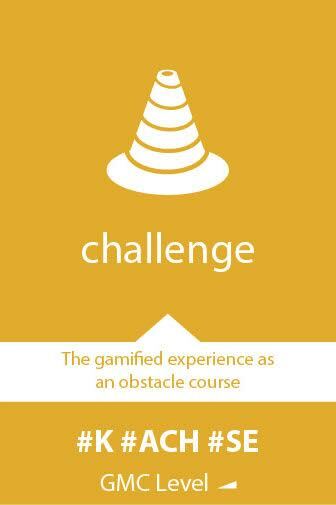 What’s more, the challenge fits very well with any other part or element of gamification processes and game design. That´s because it requires a context and it allows the participation of one or more users and their interactions. This component is also very present in the world of video games, in particular and for instance, in the video games saga Dark Souls (developed by From Software). From the first release, Demon Souls, to the fourth, Dark Souls III, when the players start playing they are positioned in a hostile environment without apparent goals. Of course, at the first enemy you find you conclude that the clear objective is to survive. Then as you advance in the history some characters ask you, in a very unspecific way, to eliminate certain enemies. This is a challenge for the player taking into consideration the great difficult, which also increases while you advance in the history and acquire more skills, following the Flow theory. Not only you have to have constant care to avoid being eliminated by the more mundane enemy you may encounter, but in some points, traps and secrets also present interesting challenges that attract the player’s attention. You’ve been killing enemies by hours and you’ve made it to eliminate one big boss. Your souls counter overflows, you think about how much you will level up and how strong you will be, the weapons you’ll be able to handle and… you’re dead. You were literally half dead with low health and in the bonfire path, a rat attacked you. You tried to dodge and you’ve fallen off the cliff. “Do not panic. When dying, souls remain on the site where it should be the body, so I go back where I died and I only have to pick up the souls”. You start walking at the bonfire, longing to feel the weight of souls in your pockets, glimpsing the new weapon you will buy, the many strong points that will go up at once… You turn the corner and you see your souls there, on the brink at the bottom of stage, waiting. Your heart is strongly beating, you’ve received a few blows of the enemies who are chasing you but you keep moving on. You press the run button and the countdown starts… 5… 4… 3… 2… you’re almost there and… you’re dead. You forgot a zombie with a simple dagger that (like the last time you passed by there) he was waiting to attack you. You lost all the souls that you could not pick up… forever. After this, the prevailing behaviors depend on the players. From throwing the remote control to take a deep breath and start accumulating souls again. But what is common to all players and behaviours, is frustration. Frustration for failing and knowing that you could have done better. Much Better. The Dark Souls universe not only challenges you in a virtual way, putting enemies and other obstacles in your way, but also generates that you challenge yourself. Challenging you to deal with frustration, to do it better with every attempt and not stop advancing. None of the difficulties encountered are too difficult or too easy to overcome. They are exactly balanced at your skill level as a player and everything depends on you. We put this series of games in particular as example, because they have not other mechanics, or they are not that important as they are in other video games involving challenges. There aren’t collectibles, or in-game achievements, time constraints that increase engagement, the evolution of the avatar does not have much influence in the player’s performance and even the reinforcement by killing enemies, proportionally, is reduced. We can also find this component in many other games such as Ninja Gaiden saga (developed by Tecmo and Team Ninja) or games like Don’t Starve (game which will be discussed in future articles, developed by Klei Entertainment) where challenge is also continuously present, accompanied by other game mechanics. 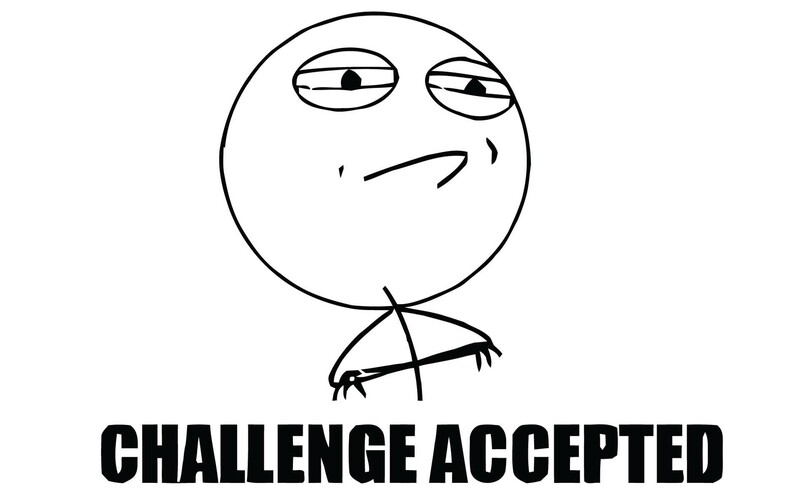 One thing is for sure, we will always find challenges in life, in gamification processes or in video games. Even in the video games world it would be difficult to find a game that does not challenge the user. As we have seen, the challenge often is accompanied by (ideally optimal) frustration, which drives us to keep playing, motivating us for several reasons. Both to achieve the challenge objective and to avoid feeling frustrated and improve ourselves. It could thus establish that the challenge is a very important and almost a necessary component in gamification as it provides great benefits in terms of motivation and participation. Csíkszentmihályi, M. (1990). Flow. New York: Harper & Row. Gee, J. P. (2004). Learning by design: Games as learning machines. Interactive Educational Multimedia, 8, 15-23. Gee, J. P. (2013). Gee Principle 6 Pleasantly Frustrating [Vídeo online] disponible en https://www.youtube.com/watch?v=o3FcRMUrnEU [consulta 24 octubre 2016]. This entry was posted in Arcade Room, Gamification and tagged Balanced, Challenge, Dark Souls, Engagement, Flow theory, motivation, Optimal frustration. Bookmark the permalink.